The Northwoods Improvisers sprung from the fertile ground of the Michigan music scene of the 1960s, where for a brief moment the hard and fast boundaries between different types of music seemed to disappear. 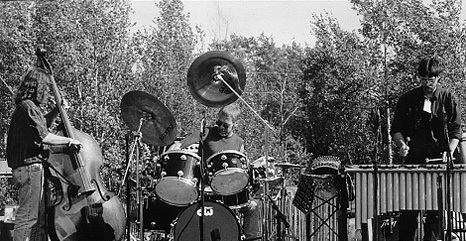 Northwoods’ bassist Mike Johnston recalled seeing jazz groups such as Sun Ra’s Arkestra–which was itself straining the limits of jazz forms–on the same bill with outside rockers like the MC5. 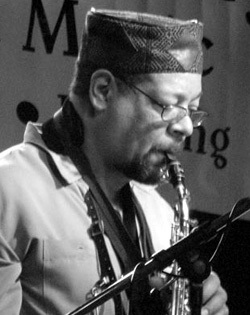 “I just thought that was normal,” Johnston laughed, “and then I realized it wasn’t!” While in high school, Johnston listened to blues and rock like other students, but he also discovered avant-garde artists in jazz classical music: the Art Ensemble of Chicago, the Spontaneous Music Ensemble, Ornette Coleman, John Cage, Toru Takemitsu. All left their mark on the music of the Northwoods Improvisers. Johnston taught himself to play guitar while still in high school in Traverse City Michigan. Around the same time he met teenage guitarist Mike Gilmore. Gilmore and Johnston started playing together at home and on camping trips. In the late 1970s, they moved to Mt. Pleasant, Michigan to attend college. 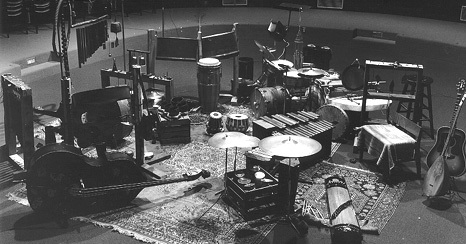 Later, in 1977, they teamed up with percussionist John Plough, another friend with whom they performed frequently to form a band of their own called the Northwoods Improvisers. Its first incarnation had Gilmore on guitar, Johnston on bass, Plough on drums, and whichever other musician friends were around to jam. 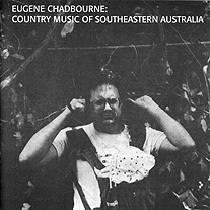 Johnston called the early Northwoods Improvisers “a total improvising garage band…bordering on an over-the-top volume thing based on Derek Bailey and Eugene Chadbourne.” Gilmore though was already developing a keen interest in the music of India, exploring other little-known stringed instruments, like the sitar and cheng, and teaching himself the rudiments of different eastern scales. Eastern music had always been important to Northwoods–Ravi Shankar and Takemitsu are just two examples–and even in their early electric phase, the group’s music displayed meditative, trance-like qualities. Although Gilmore, Johnston and Plough formed the core of the early group, other musician friends, such as guitarist Kirk Lucas, performed with them regularly. Cultivating that homegrown network remained an important commitment for Northwoods. “As we’ve done things we’ve tried to bring our friends back into the picture, they can take roles that we’re looking for, to achieve particular sounds,” Johnston said. “And we’re almost more interested in that than in playing with other big name musicians. It’s part of where we’re coming from, this inner circle, collective kind of thing, interacting.” Friends continue to be part of Northwoods projects to the present day. They have also coalesced with Northwoods into other temporary musical aggregations. Blues East, for example, included Lucas on guitar and Gilmore on banjo and cheng–a Chinese relative to the koto–and played, in Mike Johnston’s words, a mixture of “folk-eastern-rock-blues.” Remote Viewing Ensemble saw members of Northwoods and friends exploring the textures of electronic music. Northwoods underwent a series of personnel changes in the 1980s. 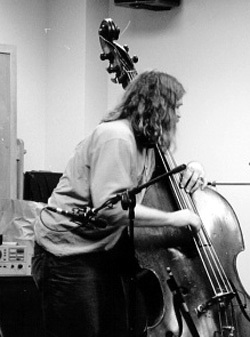 John Plough left and was replaced by Ray Kaczynski, a percussionist who had studied at Central Michigan University in Mt. Pleasant. 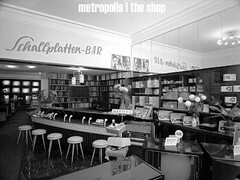 Around 1987, Kaczynski moved to Germany where he remains active in the new music scene. 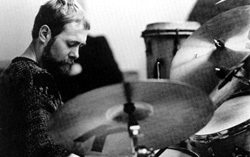 His place was taken by Nick Ashton, a drummer who had lived in New York City where he gigged with a number of musicians from the city’s loft scene in the late 1970s and early 1980s. He moved back to Indiana in 1986 after his apartment was burgled and everything he owned ripped off. Mike Johnston was a long time friend of Ashton’s and invited him up to Michigan to relax and think out what he wanted to do next. Not long afterwards, he joined the Northwoods Improvisers and has never left. Ashton’s involvement in the band is not without problems. He continues to make his home in Indiana, 300 miles away from Gilmore and Johnston, a fact that makes composition, rehearsing, and regular gigs difficult. Much of the actual work in the band takes place by long distance. Johnston and Gilmore work their day jobs together and meet a couple times every week to rehearse and develop new musical ideas. They record the results of those sessions and mail them to Indiana for Ashton’s input. Once or twice a year the three members of the group vacation together. But those problems cause Johnston and Gilmore no regrets. They are convinced Ashton’s professionalism has been a great asset for the group and that he has pushed them in important new directions. 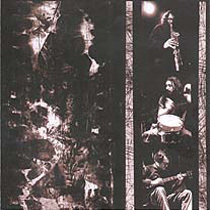 Until the end of the 1980s the Northwoods Improvisers remained an essentially regional group, playing concerts around Michigan, supporting Coda Magazine’s editor, saxophonist Bill Smith, on his Michigan tours, and occasionally venturing to Toronto themselves under Coda’s auspices. They have played some folk festivals, but as far as most audiences were concerned their music–ranging from tunes by Ornette Coleman and Sun Ra to Indian ragas–wasn’t just exotic it was downright weird. During the 1980s, they self-produced and released a number of cassettes, but were unable or unwilling to interest a record company in their work. By the time the 1990s rolled around, the group was beginning to feel somewhat frustrated with its lack of measurable progress in the music business. 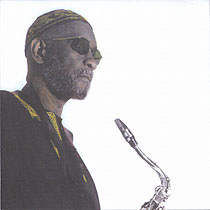 Deciding it would be a good idea to release a CD, Mike Johnston contacted Trevor Watts of the Spontaneous Music Ensemble. Johnston had known Watts since he was a teen-aged fan of SME, the only one in North America who wrote fan letters to the group. 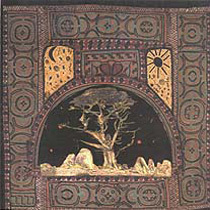 Watts offered to put out an Northwoods CD on his ARC label. 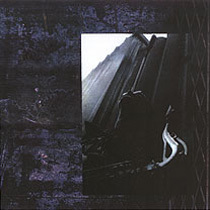 The result was 1994’s Fog and Fire, an album that thanks to Watts’ stamp of approval, had a much broader distribution than anything the group had done previously. Reviewing the CD in the French-language magazine Improjazz, Phillippe Renaud wrote “The Northwoods Improvisers first release has a clearly evident originality and the group has made the most of several streams of musical influences to find their own sound coming out of those influences.” Two years later, ARC released a second Northwoods CD, Spinning, which The Wire called simply “A beautiful album.” Northwoods saw its ARC records release as its introduction to a broader public, and consequently on them the group included a variety of the different kinds of music they perform, a sort of Northwoods Improvisers potpourri. 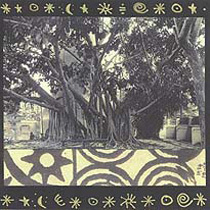 In 1998 they moved to Entropy Records, a small label based in Ann Arbor, Michigan. 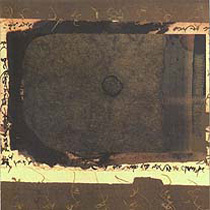 Their Entropy CDs, they feel, are much more focused and conceptually holistic. Of the first, Lightning Darkness, Coda Magazine wrote, it is “gorgeously recorded. 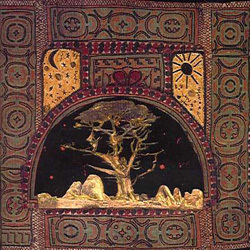 Exotic instruments conjure deep colours and currents, a sense of being in nature pervades, hidden creatures, elemental brewings.” A half year later they followed it up with Star Garden, a limited edition CD that is possibly their most beautiful, most moving work to date. 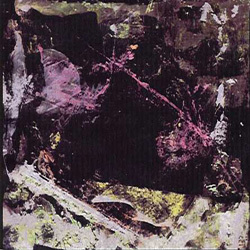 Both Star Garden and Lightning Darkness saw the Northwoods core unit of Gilmore, Johnston and Ashton, reinforced by collaborators from earlier incarnations of the band: drummer John Plough and string player Kirk Lucas on the former, and Lucas and guitarist Ben Bracken, of the Northwoods sister band Remote Viewing Ensemble, on the latter. That the Northwoods Improvisers continue to elude musical labels–and to a degree easy musical understanding–can be seen in the way critics from different genres have responded to their work. Jazz critics look at their use of long North Indian improvisational forms and see music that is too rambling and unfocused. Critics with a background in new improvised music find Northwoods Improvisers too relaxed and rooted in forms that “mainstream” improvised music has shaken free of. World music fans are put off by the strange jazz elements and complex harmonies in Northwoods’ music. The ports of entry into the music of the Northwoods Improvisers are there, however, for anyone who has ears. 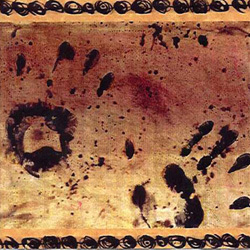 Mike Gilmore’s virtuosic performances on instruments like the Chinese cheng, the middle eastern saz, or the marimba (as well as the acoustic guitar) offer a rich surface of beautiful sonic textures, which on repeated listening also reveal a wealth of melodic invention. Jazz fans will be attracted to drummer Nick Ashton’s pulse and sensitivity. It is worth the price of admission just to hear the band’s take on the work of avant-garde jazz masters such as Sun Ra or Don Cherry. 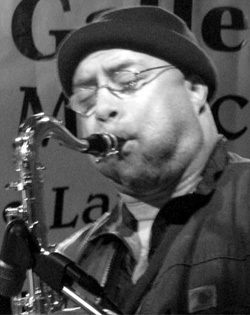 Mike Carey | Tenor saxophone, flute, bass clarinet. Performed with A.A.C.M. 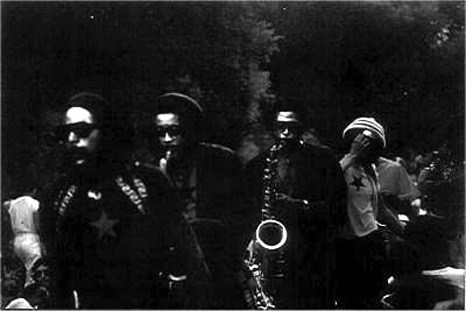 (Chicago) and Detroit based ensemble, “GREEN/MOSLEY COMPLEX” from 1982 to 1995. some of the members included, Donald Washington, Muwata Bowden and Harrison Bankhead. studied flute from 1980 to 1984 with Elmer Nodgie, flute virtuoso with the romanian symphony orchestra who fled the country for political reasons. Has been a member (and is) of several detroit based ensembles including; “TRUE STORIES ORCHESTRA”, “THE VISITORS”, “DESCRIPTION”, “CONSPIRACY WIND ENSEMBLE”, “LATER DAYS FREEBOP ORCHESTRA” (w/Hakim Jami), and “SPEAKING IN TONGUES”. 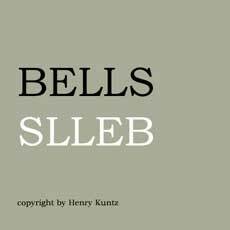 Skeeter C. R. Shelton | Tenor and soprano saxophones, oboe, basoon. Has played with the 70th DIVISION ARMY RESERVE BAND for 27 years. He is currently a member of SPEAKING IN TONGUES and is one of the founding members of GRIOT GALAXY. 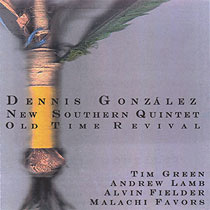 His father AJARAMU SHELTON was Gene Ammons drummer and an early Delmark recording artist with Kalaparusha. 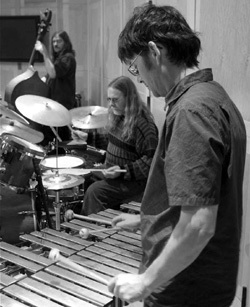 Mike Gilmore | Vibraphones, Marimba, Cheng, Guitar, Saz, Percussion. Founding member of Northwoods Collective. Began playing guitar at age 5. 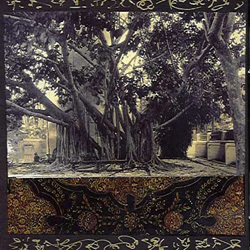 Began studying Jazz Improvisation and East Indian Music in 1976. Shortly thereafter African, Middle Eastern and Far East Musics. Formal Piano studies 1976. Formal Classical Guitar studies 1979. Mike Johnston | Bass, wood flutes, percussion. Founding member of the Northwoods collective. 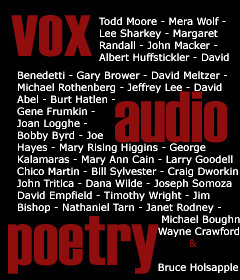 Contributing writer for coda publications 1982-1999. teaches college course at various colleges in jazz history and african and asian musics. 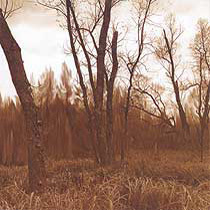 MFA degree in Photography/Art from Central Michigan University. Does a public radio show “Destination Out” on CMU Public radio featuring creative jazz and world music. Nick Ashton (son of James Ashton, professional drummer) began formal instruction at age 11 and continued band and orchestra in public school and college. Played different genre of music through college and after until settling in NYC in 1978 for 6 1/2 yrs whereupon jazz and improvised music became the only musical focus. Returned to Indiana in 1985 and began playing on the Indianapolis scene in 1986. 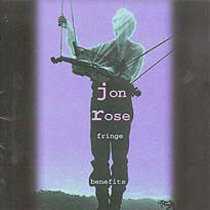 He began playing with “NORTHWOODS IMPROVISERS” in 1987 and has continued performing with them ever since. 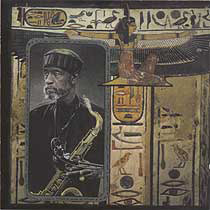 Faruq Z. Bey is a saxophonist/composer from Detroit, Michigan. He is best known for his work with Griot Galaxy. 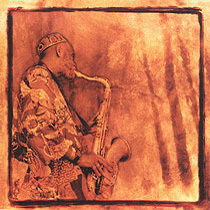 Griot played hard Free Jazz with distinct compsitions, often by Bey. 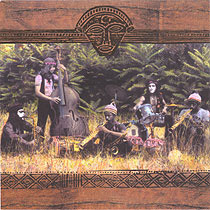 Odd meters and polyrythms were a frequent feature of Griot tunes, which would give way to free sections. 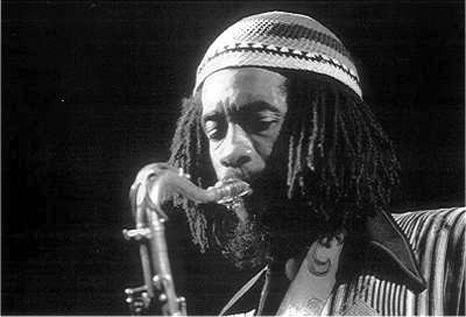 Originally started at the end of the 60’s, Griot Galaxy settled into its most stable line-up around 1980, when Bey was joined by saxophonists David McMurray and Anthony Holland, as well as bassist Jaribu Shahid and drummer Tani Tabal. 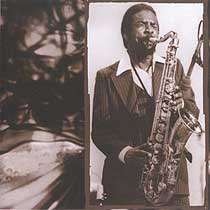 Popular in Detroit for a Free Jazz band (often pulling audiences of a few hundred people), Griot toured Europe in the mid-80s and was at the height of its international acclaim when Bey was in a serious motorcycle accident that left him in a coma. Almost a decade passed before Bey returned to performing. He re-emerged with an all woodwind ensemble called The Conspiracy Winds Ensemble. He began to play in Speaking in Tongues and Hakim Jami’s Street Band. 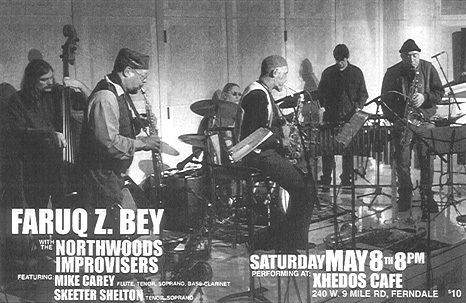 He joined forces with The Northwoods Improvisers, who’ve largely devoted their last several releases to Bey’s music. His frequent collaborators, saxophonists Michael Carey and Skeeter Shelton, join him on most of the Northwood Improviser’s recordings. He also currently plays in Kindred– a quartet with Kennith Green, Kevin Callaway and Joel Peterson- and in Odu Afrobeat Orchestra. 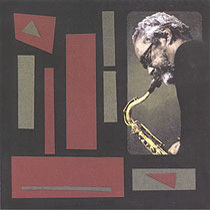 Some of his most noted releases are: “Kins”, “Opus Krampus” and “Live at the DIA” with Griot Galaxy and “Auzar” and “Ashirai Pattern” with The Northwoods Improvisers. Great Article. The collaborators in the Northwoods Improvisers are extremely dedicated and talented musicians! Distance, culture and musical style know no bounds with these guys. This is a wonderful article dedicated to wonderful human beings.